The game changer made better. 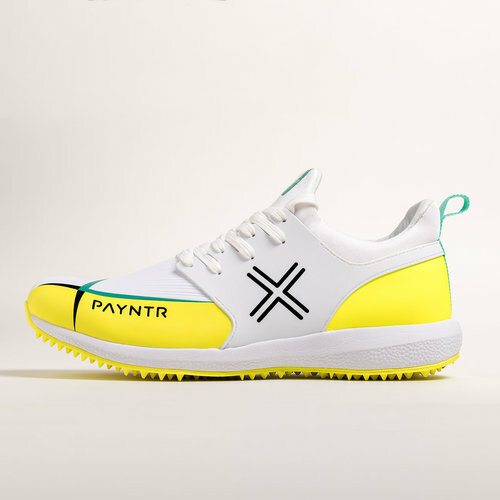 The revolutionary Payntr X is famed for it's light weight, breathable design. This third generation continues to raise the game with a host of technical improvements for increased support, comfort & also an all new strength tested PU upper. New nanometer strength tested PU upper for added durability. Stronger/Firmer heel cup to support sideways movements. Anti-Roll, raised arch insoles support & cushion the foot. Vamp reduction for tigher fit. Thinner, polished toe protection to reduce weight. Increased padding around ankle and neckline for added comfort. Back heel TPU studs as standard.